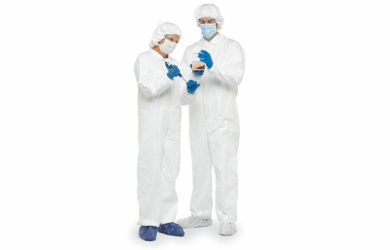 New line of clothing for controlled environments that guarantees complete protection for the process, product and person. 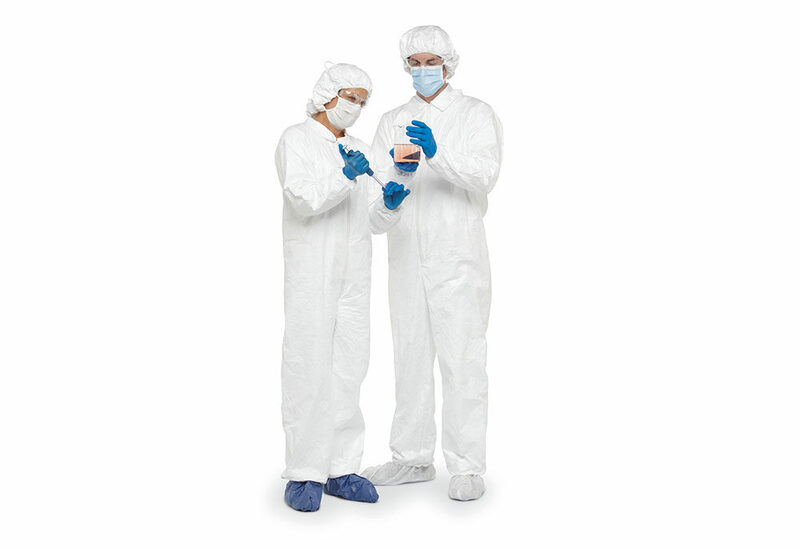 Available in clean, sterile or just clean (produced in a controlled environment), DuPont ™ Tyvek® IsoClean® clothing has a full range of accessories: hood, aprons, sleeves and non-slip boots. 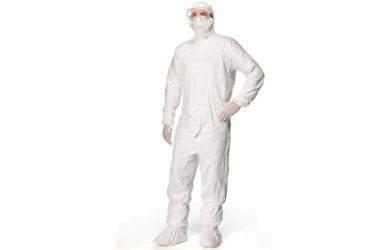 The Tyvek® IsoClean® line was developed with DuPont ™ Tyvek®, a nonwoven composed of 100% high density polyethylene with very low particle emissions, ensuring the safety of the production process and minimizing the risks of cross contamination, in addition to chemical protection provided to the user. 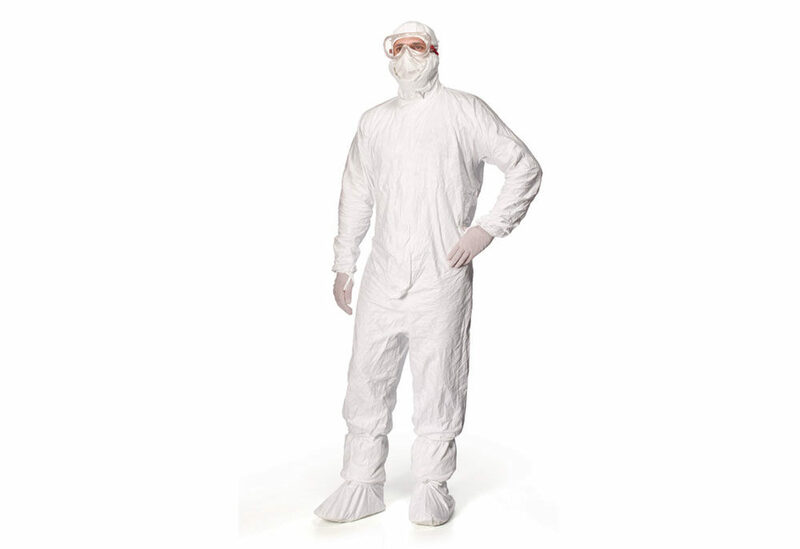 In addition, the great differential of DuPont ™ Tyvek® IsoClean® clothing for other clothing found on the market is the fact that it is sterilized by means of validated gamma irradiation, a process that makes it have the most efficient level of sterilization. 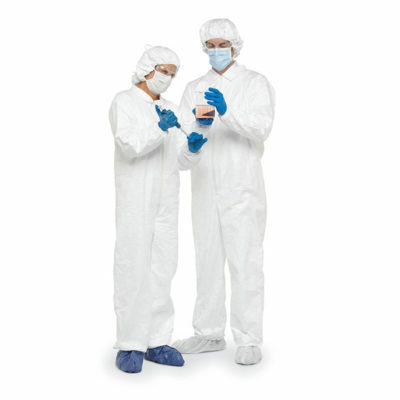 DuPont ™ Tyvek® IsoClean® sterile dresses have SAL (sterility assurance level) of 10-6. The radiation doses are validated by tests for bioburden and dosing, in accordance with ANSI / AAMI / ISO 11137. 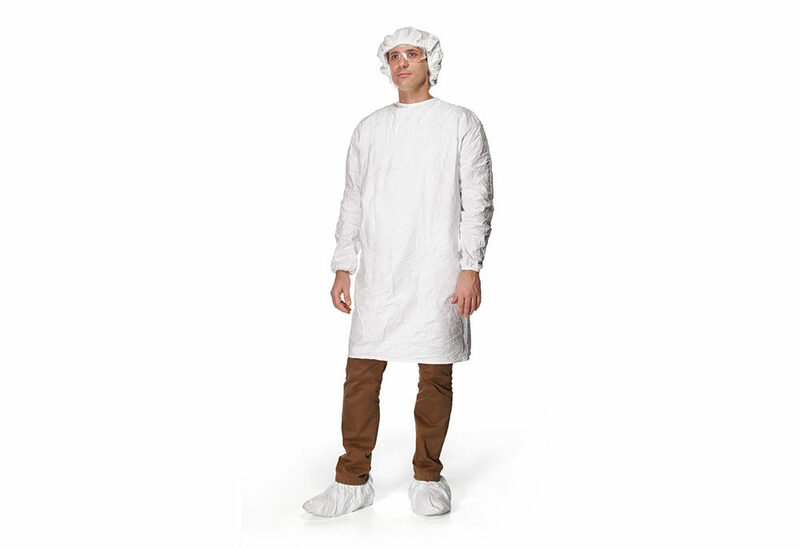 All purchases of disposable sterile clothing Tyvek® IsoClean® are accompanied by both Certificate of Sterility and Certificate of Conformity. 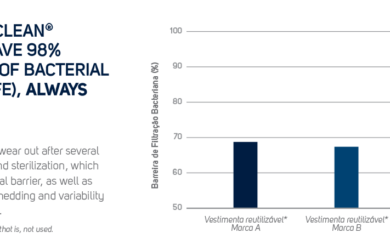 Bacterial filtration efficiency (BFE) greater than 98%, according to ASTM F2101. 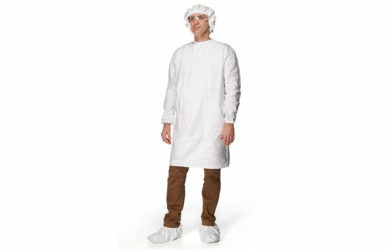 Disposable clothing does not go through several wash and sterilization cycles, so its barrier and efficiency are consistent and reduce the risk of cross-contamination. 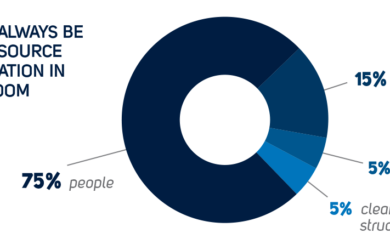 Disposable clothing helps eliminate budget uncertainties related to maintenance, damage and loss, which makes expenditure predictable and controlled. To avoid unpredictability with reusable chains (damage or transport failure), it can be used for small or flexible demands, as well as serving as a safety stock. Certified product line for chemical and biological protection (ISO 16602) with CA and ANVISA registration. Protection when there are risks to workers, as in handling of hormones, carcinogenic and biological materials.